So, my sister is in labor as I type... yay!!! I decided to spend my morning making her a nursing cover! 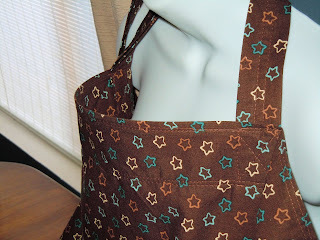 I have made a couple before and I have even sold one or two on my etsy store.. but I have now refined my pattern. It is an extra large size to make sure everything stays private! My sis is not one for big flashy prints, so when I found this one I thought it was perfect. It says "little boy" but doesn't scream it! 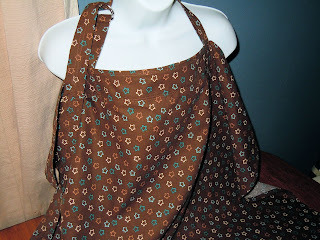 My nursing cover features a stiff neckline so that you can peek at baby. 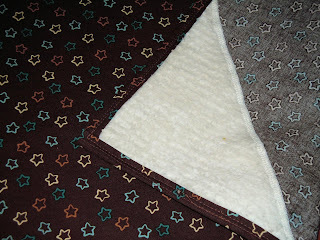 It also has a chenille pocket sewn into one of the inside corners. Perfect for nursing pads, pacifiers, and to wipe baby's mouth. Nursing cover measures 30" wide and 33" tall - giving you great coverage and lots of privacy!